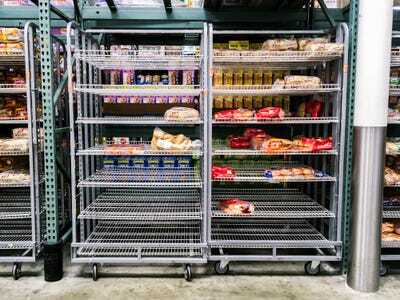 Business Insider/Jessica TylerThe BJ’s Wholesale Club in Jersey City, New Jersey, was well-organised. 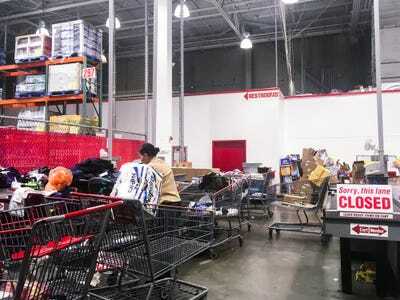 Costco,Sam’s Club, and BJ’s Wholesale are similar membership-based warehouse stores that offer a wide variety of products and services. 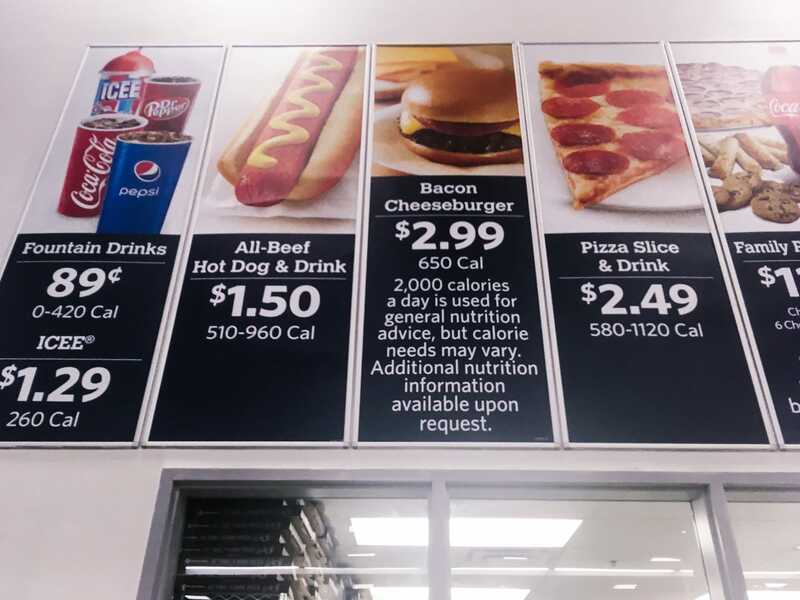 The only significant difference between Sam’s Club and Costco is the cost of membership – Sam’s Club costs $US15 less annually. 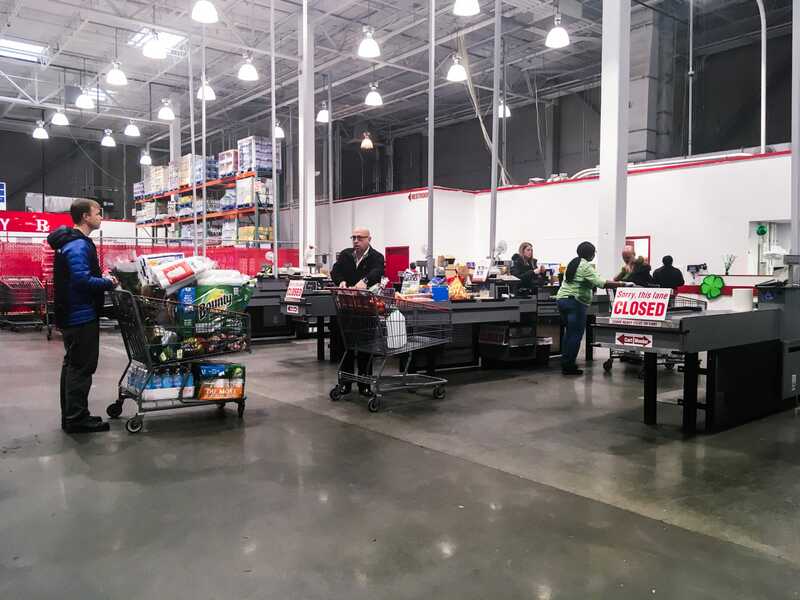 BJ’s, which filed for an IPO on Thursday, differs from the other two stores in a few ways, including the presence of a self-checkout option and the lack of a food court. 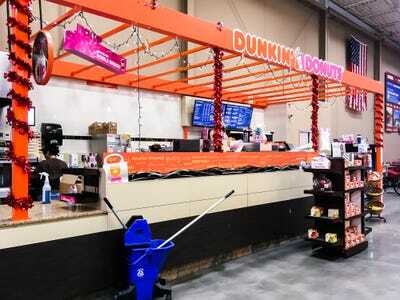 BJ’s locations used to have food courts, but most are being replaced by Dunkin’ Doughnuts kiosks. I went to a Costco and Sam’s Club in New York and a BJ’s in New Jersey and found that the costs were comparable, but BJ’s would rank lowest because it didn’t have as much to offer. 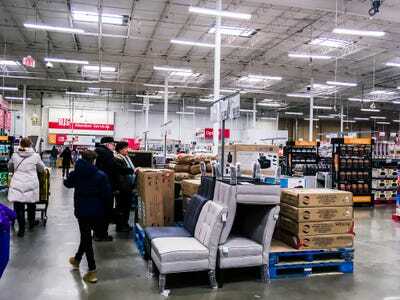 Costco, Sam’s Club, and BJ’s Wholesale are membership-based warehouse stores selling groceries, clothing, furniture, and, well, lots of other stuff. All three stores offer eye and ear exams, a pharmacy, one-hour photo services, and either a food court or kiosk at affordable prices. 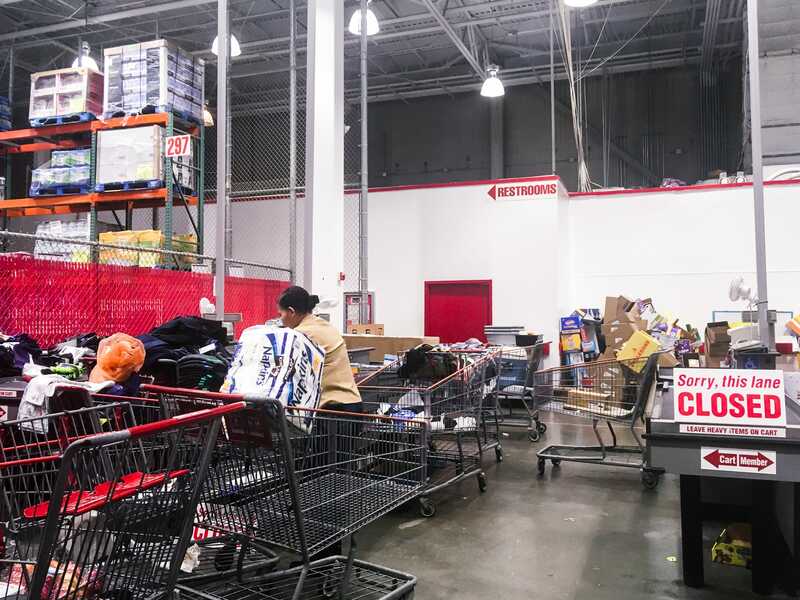 Even the return policies are similar, though BJ’s stops accepting items after a year, while Costco and Sam’s Club will do so for most items at any time. 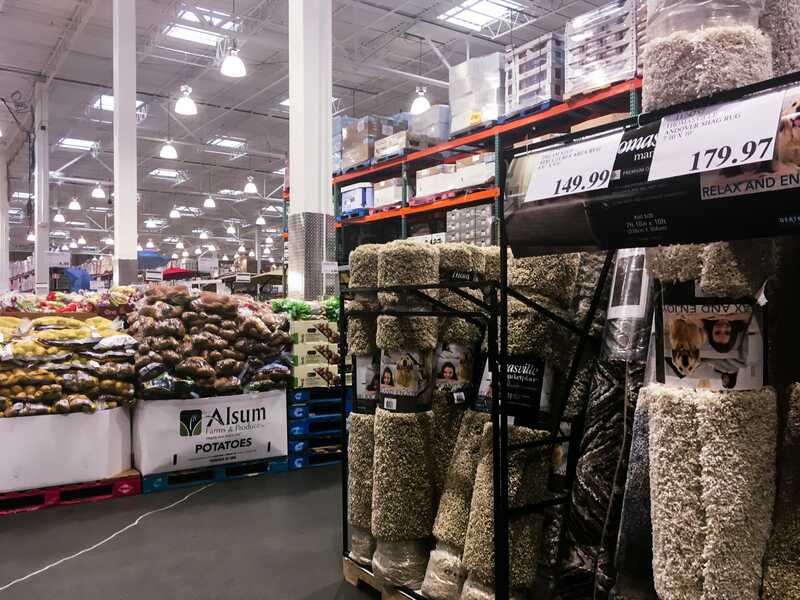 After visiting all three stores, I found that aside from the cost of membership, Costco and Sam’s Club were very similar, while BJ’s seemed as if it was struggling to catch up. 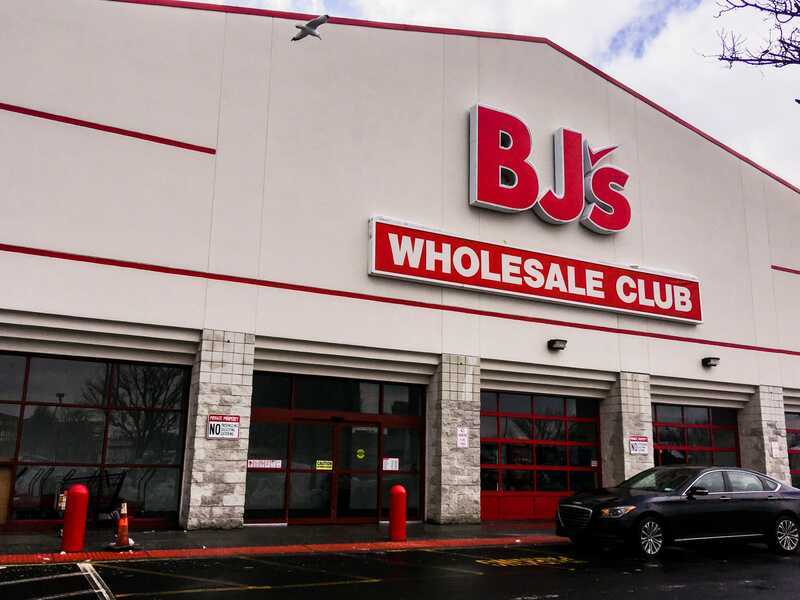 But BJ’s is showing some signs of strength. 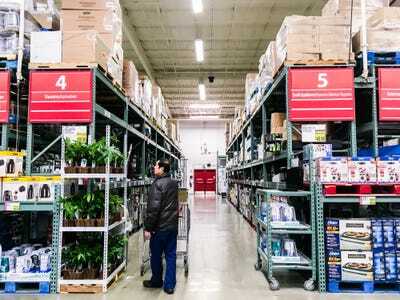 On Thursday, the warehouse chain filed to go public, with plans to trade on the New York Stock Exchange under the ticker “BJ.” The warehouse chain had previously traded publicly until 2011, when it made a deal with two private-equity firms to take it private, according to CNN Money. 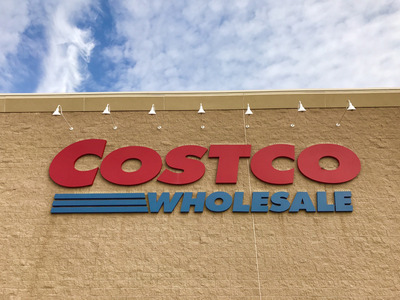 Costco’s yearly membership is $US60, while BJ’s comes in second at $US55 and Sam’s Club is the least expensive at $US45. 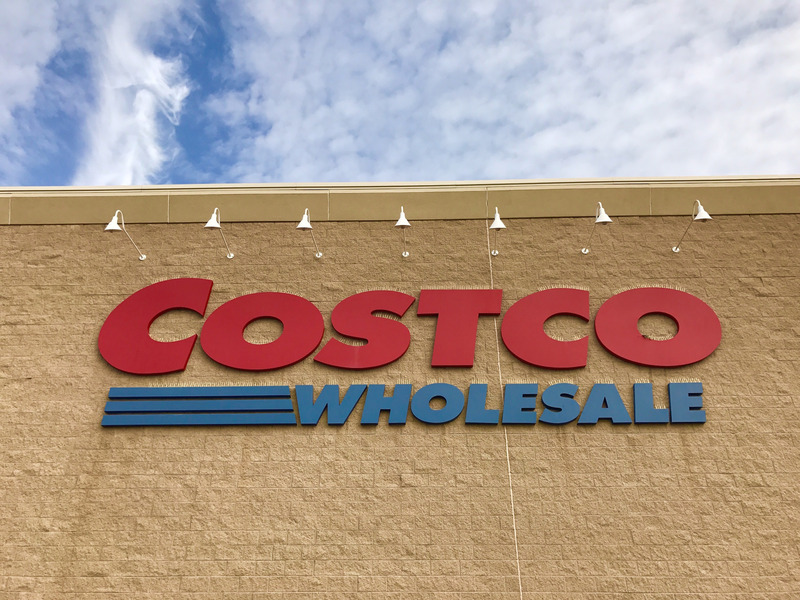 The annual cost of premium memberships ranked similarly, with Costco costing $US120, BJ’s $US110, and Sam’s Club $US100. According to a grocery-store ranking from Consumer Reports, the higher membership costs at Costco might be worth it – it ranked higher than Sam’s Club and BJ’s in cleanliness, meat and produce quality, customer service, store-brand quality, and prices of organic items. 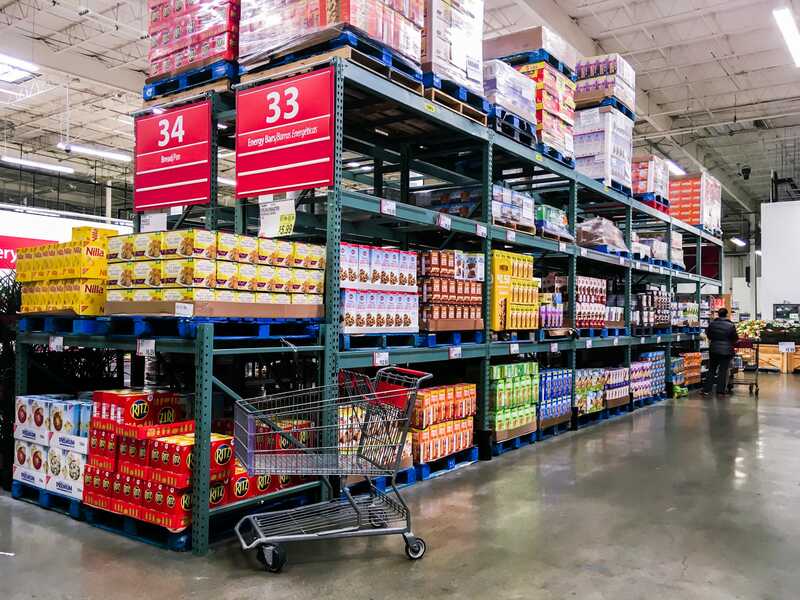 BJ’s ranked higher than Sam’s Club in just two categories: healthy organic options and checkout speed. 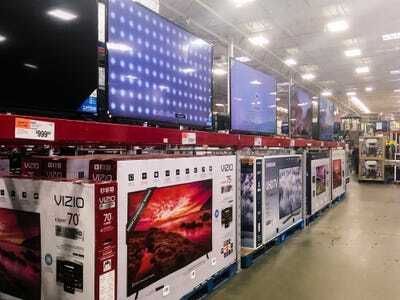 To see for myself which store offered the best deal, I went to a BJ’s Wholesale in Jersey City, New Jersey, and Costco and Sam’s Club stores in Westchester County, New York. Here’s what I found. During my visit to the BJ’s store in Jersey City, I found that a membership was $US55 a year for the basic plan and $US110 a year for premium, falling between Costco’s and Sam’s Club’s prices. 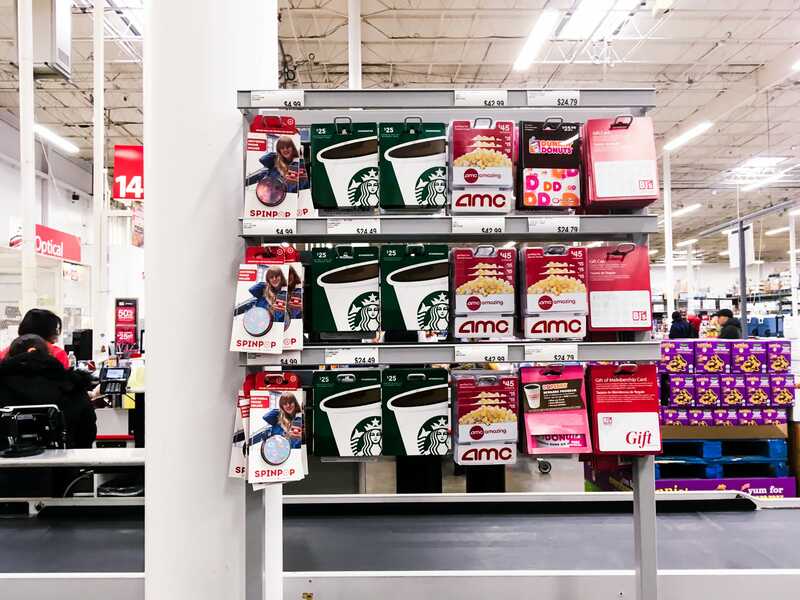 No one checked for my membership here — non-members can use a guest pass to shop, but they will have to pay a 20% service fee at most locations. 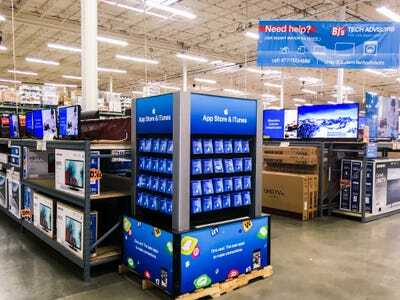 Tech items were at the front of the store, and prices ranged from $US500 to $US2,000 for things like TVs. 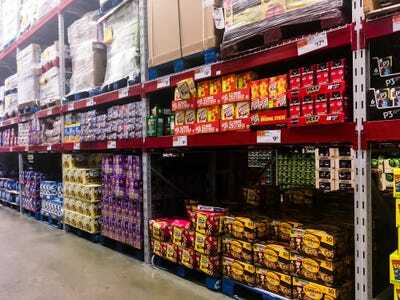 BJ’s snacks were all sold in bulk, but the variety felt relatively small. 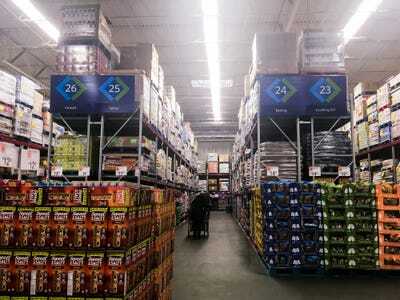 There was more candy than snacks, and the produce selection was smaller than I would find at a Costco or Sam’s Club. 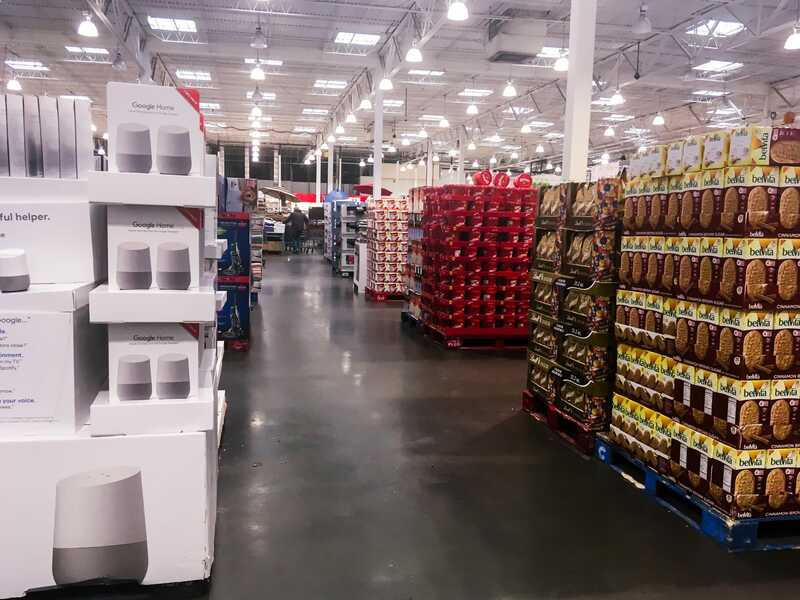 … and the selection of gift cards and other items was noticeably smaller at BJ’s than at a Costco or Sam’s Club, though the company carries a comparable selection online. 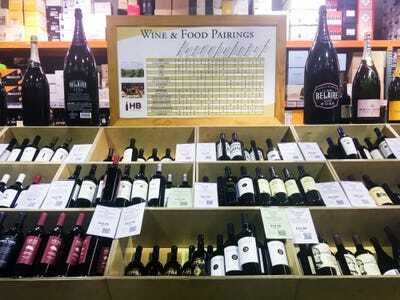 This location also said it does not sell any alcohol, but others do, depending on local regulations. 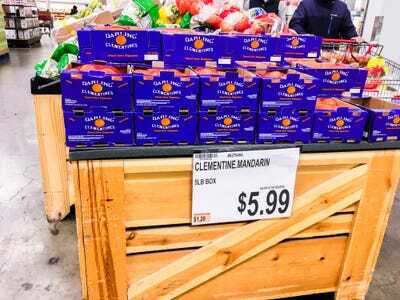 A five-pound box of clementines was $US5.99 at BJ’s. 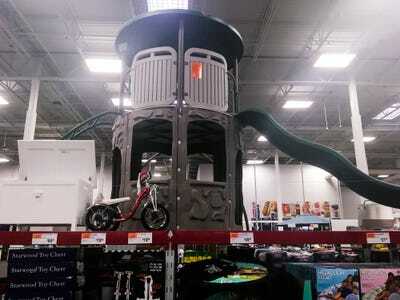 I was impressed with the organisation of the store. Not only were the grocery aisles labelled, but the sections carrying toys, clothes, and home decor were as well, making it easy to navigate the store. Another highlight was the self-checkout, which could lead to shorter lines. 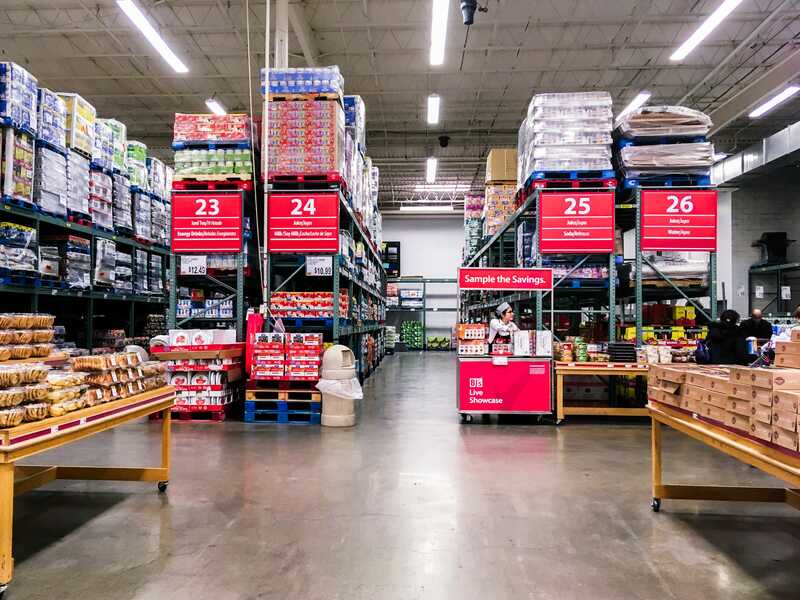 BJ’s has an app that allows customers to store coupons and receive notifications about promotions, but it does not have a payment functionality. 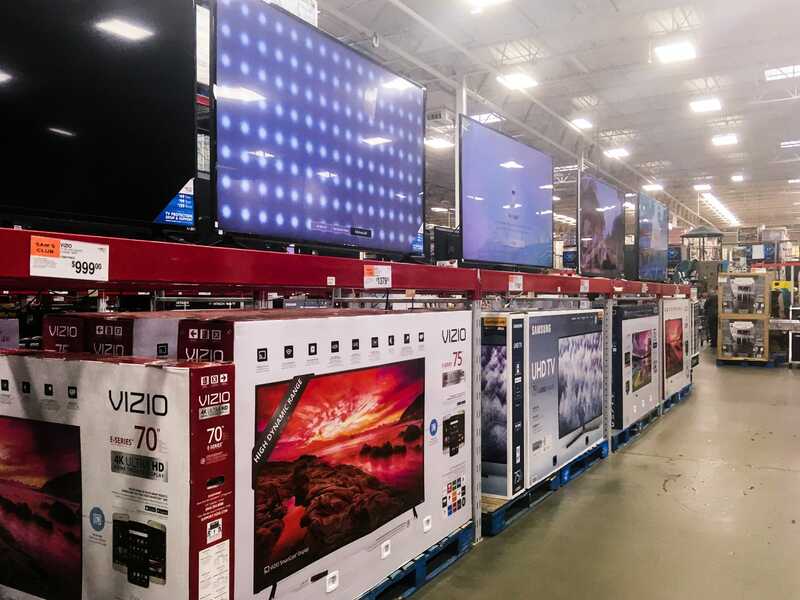 BJ’s allows customers to return items within a year. There was a Dunkin’ Doughnuts kiosk with a few tables set up near the exit — these kiosks have been replacing food courts in most BJ’s locations. 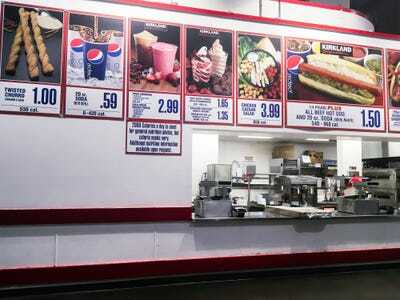 The prices are slightly higher than at the food court at a Costco or Sam’s Club. Like at BJ’s, no one was at the door checking for membership when I visited a Costco location in Westchester County. 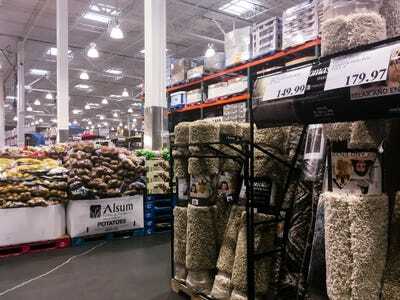 Costco’s basic membership costs $US60 annually, and its premium version costs $US120. 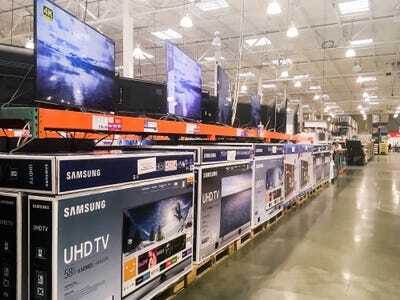 And the electronics section was also at the front, with rows of TVs ranging in price from $US500 to $US2,000. 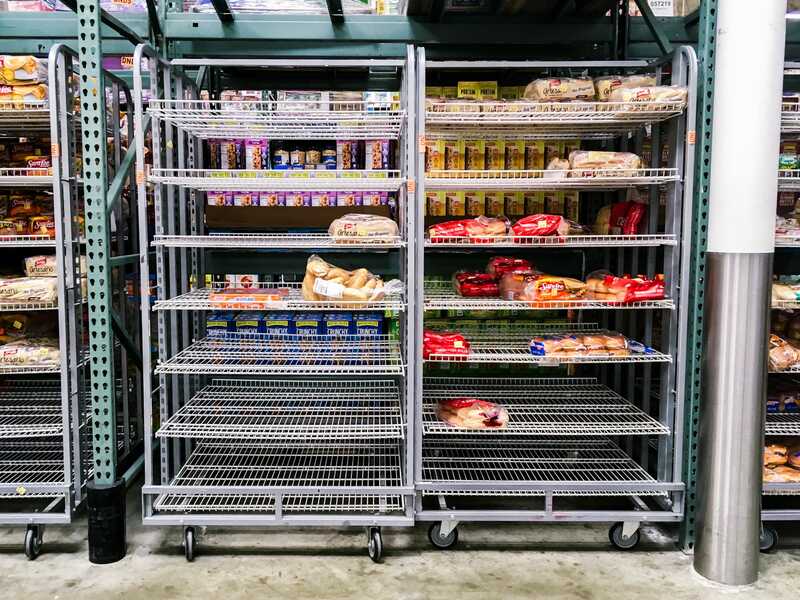 Just about everything in sight was sold in bulk. 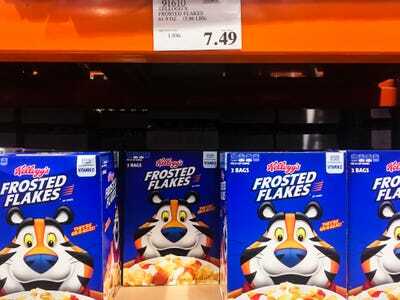 A four-pound box of Frosted Flakes was $US7.49. At stores like Walmart and Target, a box half this size is only $US2 less. 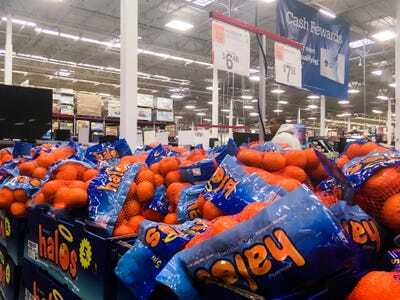 Even produce was sold in bulk. 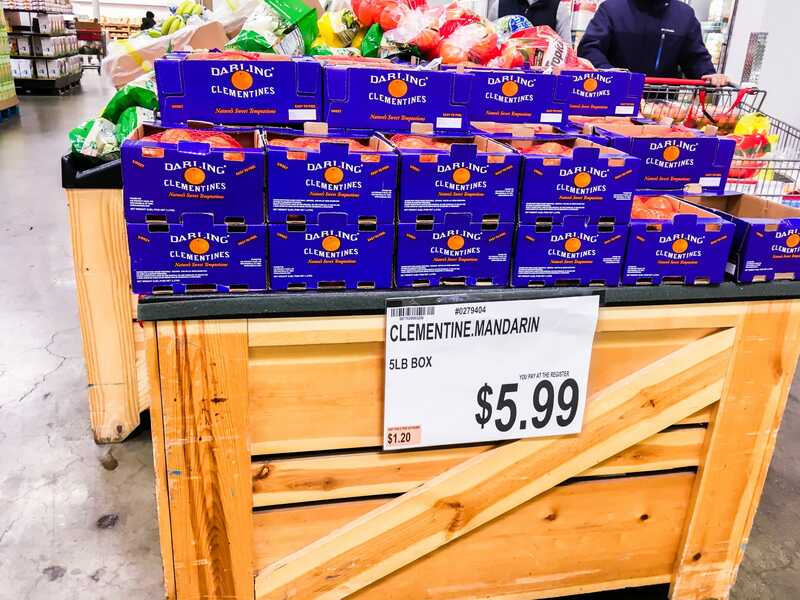 A five-pound bag of clementines was only $US5.99, the same as at BJ’s. 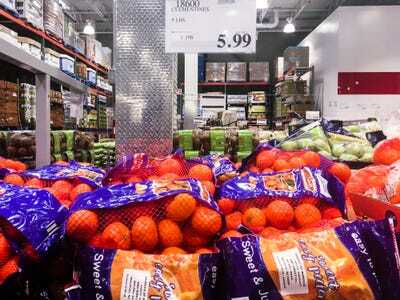 But this Costco store had a wider variety of produce than BJ’s did. … and there were furniture displays throughout the store. Costco had an entire wall of discounted gift cards for things like restaurants and movie theatres. The selection even included discounted lift tickets for local ski resorts. The front of the store was messy. I think this is where returns are processed, but it wasn’t labelled anywhere. 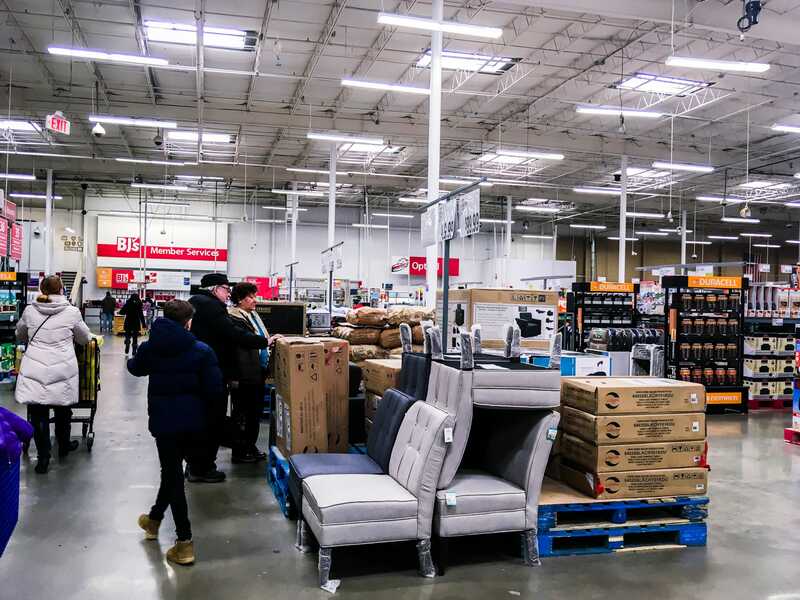 Costco has a generous return policy, allowing members to return most anything (including a membership) at any time for a full refund, except for electronics and major appliances, which can be returned within 90 days with a receipt. 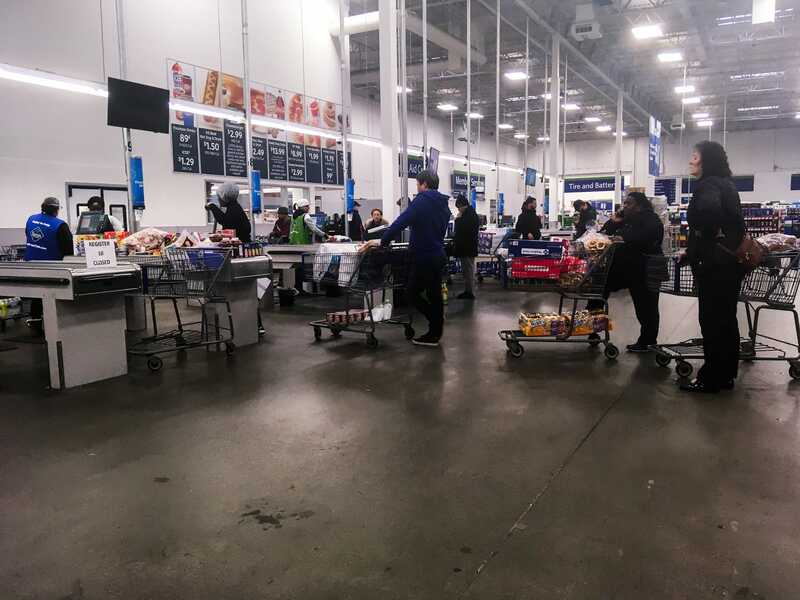 Many registers were closed because it was early in the day, plus everyone had full shopping carts, so it was a long wait to check out. Costco’s app lets you make a shopping list, access coupons, and create photo books, but you cannot pay for a purchase on it. Right near the exit was the insanely cheap food court. It was $US1.50 for a hot dog and a soda, and giant churros were $US1. 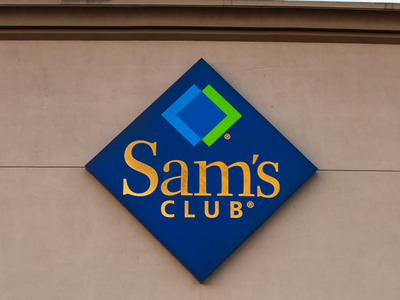 A yearly Sam’s Club membership costs $US45 for the basic plan and $US100 for the premium plan. 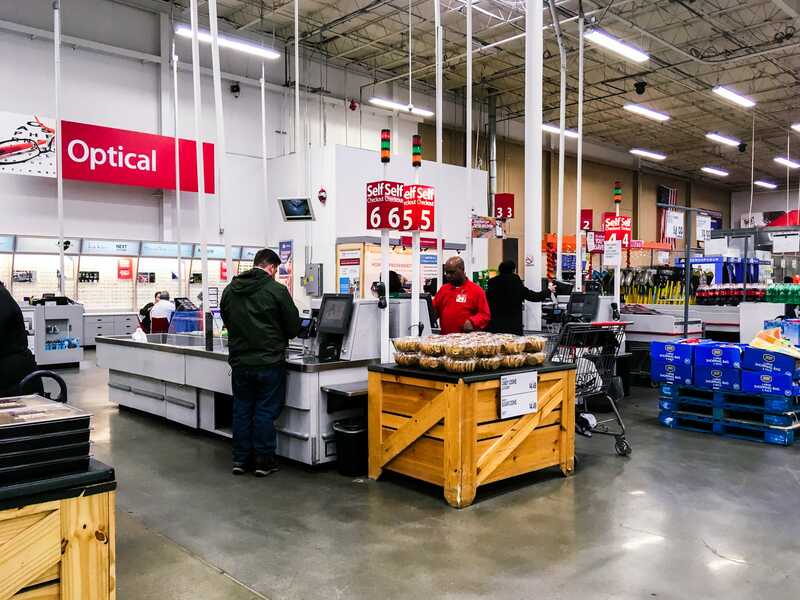 No one at Sam’s Club checked my membership either — without one, you can use a guest pass to shop, but there is a 10% service fee at most locations. The tech section mirrored Costco’s, and the prices were comparable. 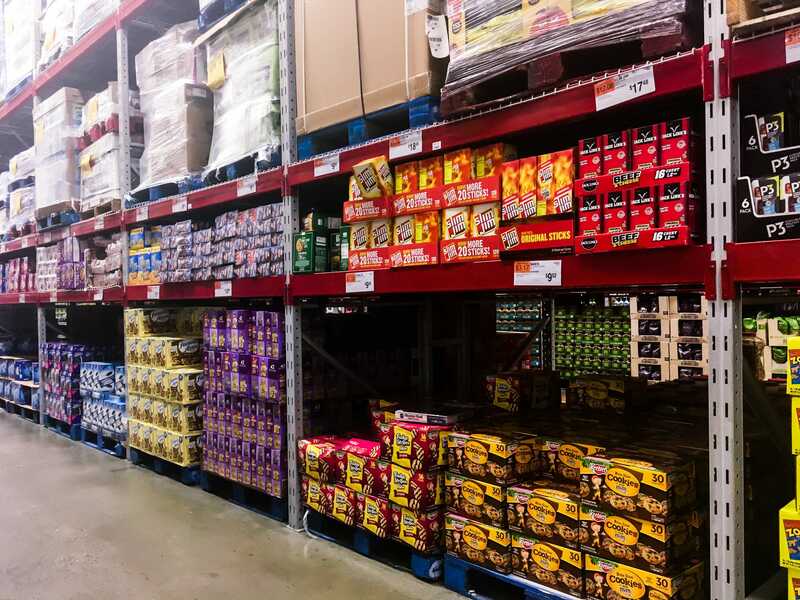 Like at Costco, there seemed to be enough snacks in bulk to last a lifetime, and most boxes were under $US10. Produce prices were also comparable — the same five-pound bag of clementines was only $US0.50 more at Sam’s Club than at Costco and BJ’s. 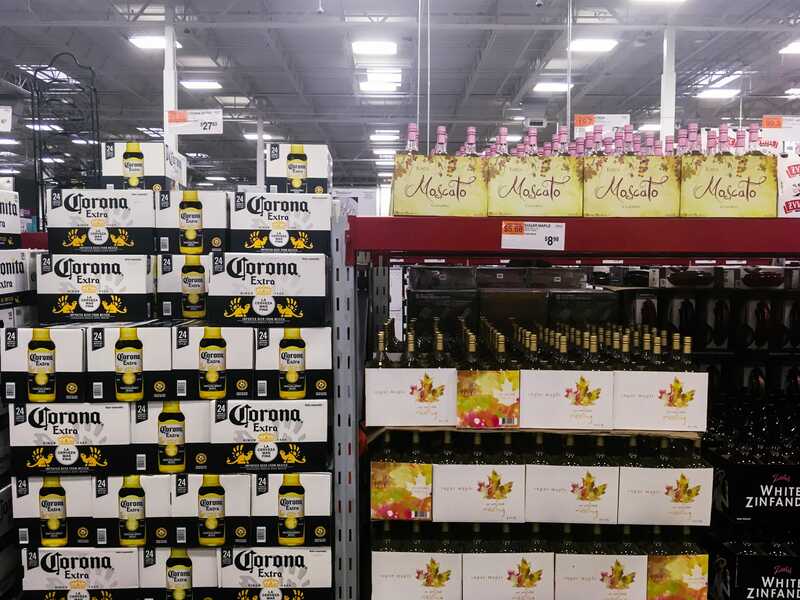 Unlike Costco, Sam’s Club does not have a separate building that sells wine and hard liquor. 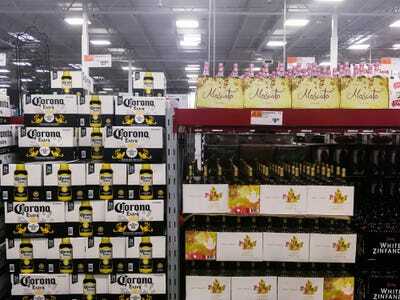 Wine spritzers and beer are sold in the store, in keeping with New York law. … but the middle of the store was still a free-for-all, with books, clothing, and playground and furniture sets scattered around. 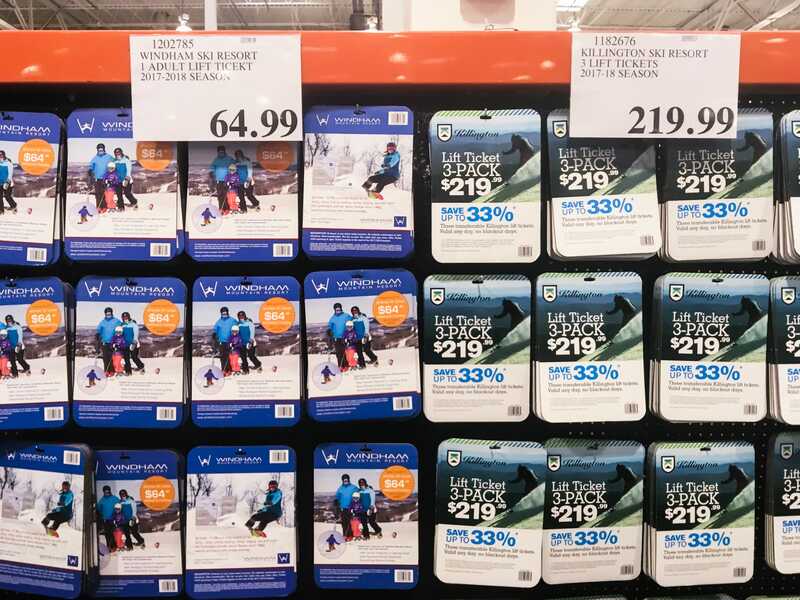 Sam’s Club had a similar wall of gift cards, all at discounted prices. The front of the store looked identical to Costco, and the lines were just as long. Where Sam’s Club stands out is in its app that allows customers to scan items as they go through the store and then pay through the app, skipping the long lines. Sam’s Club also accepts returns for most items except for electronics and appliances, which have a 90-day limit. Once again, the exit was preceded by a food court, matching Costco’s low prices on items like pizza and the hot-dog-and-drink combo. Fountain drinks were slightly more expensive though. 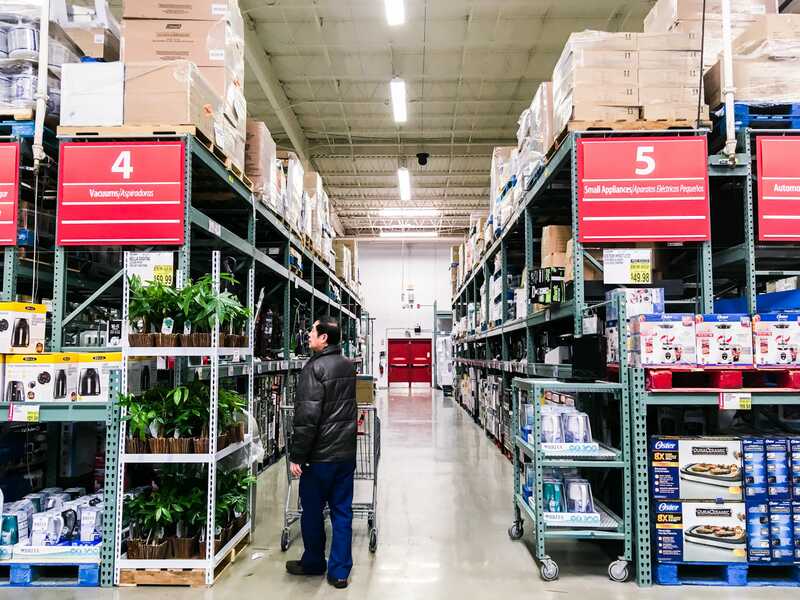 It was clear after visiting all three warehouse stores that prices were comparable and that each store had its perks: high quality at Costco, a checkout app at Sam’s Club, and the self-checkout at BJ’s. 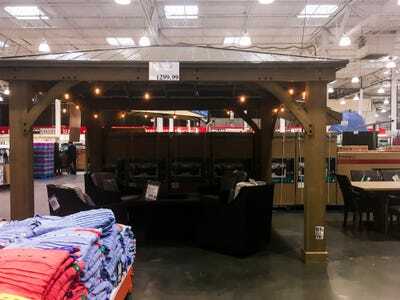 But the location of BJ’s Wholesale I visited didn’t have as wide a selection as Costco or Sam’s Club, and the empty shelves around the store were a big weakness, making it an inferior shopping experience. 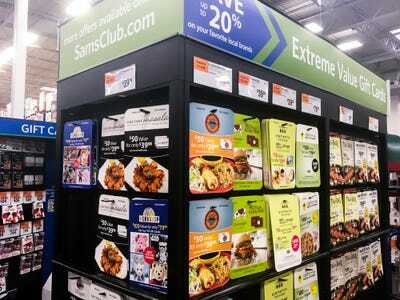 Costco and Sam’s Club offer almost identical services for members. Even though it’s least expensive to be a Sam’s Club member, it ultimately may come down to which store is closer to you.